Human beings have a remarkably excellent cardiovascular system. The human heart pumps more than 6000 liters of blood through the body in a day and beats around 30 to 40 million times a year. But, as our lifestyles have gone sedentary, stress has begun to set in and our eating habits have changed the incidence of diseases of the cardiovascular system have increased greatly. According to an estimate, cardiovascular diseases are the number one cause of worldwide mortality with about 80% of the burden occurring in developing countries. Of all these, one of the major culprit and an essential precursor leading to heart attacks is Hypertension (chronic increase in blood pressure of an individual). Sustained systolic pressure above 139mm of Hg and sustained diastolic pressure above 49 mm of Hg (or simply blood pressure of 140/90 or above) is clinically significant hypertension which is associated with increased risk of atherosclerotic disease. Risk of heart disease increase continuously with increase in pressure above 120/80mm of Hg (normal blood pressure). Hence there is no specific and rigidly defined threshold for the increase in risk of heart disease. If you are a patient of diabetes along with hypertension, you are at a higher risk of heart attack. You should regularly monitor your blood sugar levels and blood pressure at home and report the changes to your doctor. 95% of all hypertension is idiopathic. without any identifiable cause. This type of hypertension is categorized as Essential Hypertension. Renal diseases such as Renal Artery Stenosis, Renal Vasculitis (inflammation of the renal vasculature) or Renal Tumors etc. Endorcrine disorders such as Cushing’s syndrome, some Adrenal gland tumors, Hyperthyroidism etc. Cardiovascular disorders as Rigidity or Coarctation / Narrowing of the Aorta ( the major and largest artery of the body , Vasculitis etc. Some neurological disorders such as Sleep Apnea , Stress or increase in Intra Cranial pressure too causes hyper tension. If you are pregnant and having hypertension, this might be physiological (pregnancy induced estrogen causes increase in BP) or pathological. Go consult your doctor immediately. Oral contraceptive pills too might cause an increase in BP. Be cautious while using the OCPs if you are a hypertensive. What determines your risk of having hypertension? What can hypertension lead to? How to reduce your risk of developing hypertension or manage your hypertension? Start exercising at least 3 times a week to begin with and maintain an active lifestyle. Spend time with family and friends to get away from your monotonous and stressful work schedule. Quit junk food and take healthy diet (low saturated fat and low total fat, more fibrous diet). Consume more green leafy vegetables and fruits. Reduce your weight and maintain your BMI in the normal range. Limit alcohol to 2 drinks a day for men, one drink a day for women. See your doctor at least once a month after starting of the treatment till your BP goal is reached and then the visits might be reduced to once in 3 to 6 months. 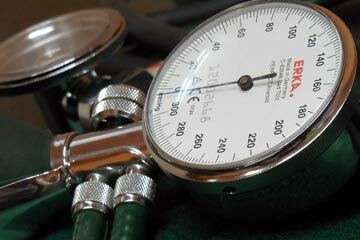 Get your BP checked regularly (you can buy an automated sphygmomanometer—an instrument to measure BP—to use at home). Get your blood glucose and blood cholesterol levels checked regularly. Get your electrolyte levels checked regularly as some drugs might affect the levels. Get your BUN/Creatinine checked for your kidney health. Get eye checkups done for avoiding loss of vision. Follow the advice of your doctor and make an effective exercise plan for yourself consulting him. The key of avoiding majority of cardiovascular disorders lies in a healthy and stress free lifestyle. Follow the steps and see the benefits! Ashish is a doctor in making from AIIMS, New Delhi. Besides his passion for solving medical puzzles, attend to interesting surgical procedures and participate in treatment of his patients; he is also the lead guitarist of 'Aléxithymé’ - a Delhi based rock band. Medications for hypertension – How to avoid them with a healthy lifestyle?